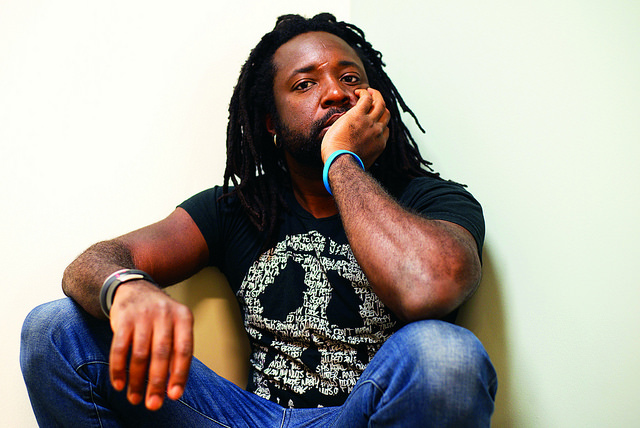 Posted on October 16, 2015 by Mrs P.
It’s rare that I post twice in one week, but I couldn’t let the news pass that a Jamaican literary crime novel has won the 2015 Man Booker: Marlon James’ A Brief History of Seven Killings (OneWorld). It’s the second time in recent years that a novel featuring strong elements of crime has won the prize – the other being Eleanor Catton’s The Luminaries in 2013. 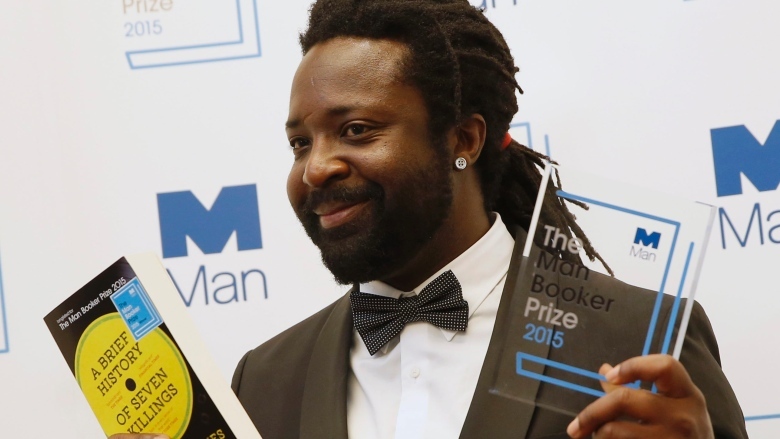 It’s also the first time a Jamaican author has won the prize in its 47-year history. >> On 3 December 1976, just weeks before the general election and two days before Bob Marley was to play the Smile Jamaica concert to ease political tensions, seven men from West Kingston stormed his house with machine guns. Marley survived and went on to perform at the free concert. But the next day he left the country and didn’t return for two years. It’s anything but a ‘brief history’. The novel is 686 pages long and features over 75 characters, fifteen of which have narrative voices. There’s a helpful ‘cast of characters’ at the beginning that’s four pages long. The opening chapter secured my attention right away. It’s narrated by a dead man: murdered former politician Sir Arthur Jennings (‘nobody falls that way without being pushed’). Criminal acts and criminality are at the heart of the novel. The first three sections are set in Kingston, Jamaica, and show life in the ghetto, offering a brilliant, but *extremely* hard-hitting depiction of how grinding poverty, gang violence and political turbulence are entwined. Many of the narrators use Jamaican patois and have a stream of consciousness style, which may take a little while to get used to, but is rewarding once you do. The novel illuminates race, class and gender relations via a number of characters, including a gay gang member and a young woman who had a brief liaison with ‘The Singer’. I’m particularly looking forward to seeing where Nina Burgess’ story goes. You can read an extract from one of her chapters here. And then of course there’s the world of ‘The Singer’, his possibly naive attempts to intervene in politics, and the stories of the men who attack him, which are the novel’s principal structuring device. Craig Sisterson, ‘Crime Novel wins Man Booker!‘, Crime Watch blog: an exploration of the novel’s crime credentials and reactions to the win. Nicholas Blincoe reviews the novel for The Telegraph and compares it to James Ellroy’s LA Quartet. Warning: contains spoilers, but also helpful information about the historical and political contexts in which the novel is set. Paula Cocozza, ‘Man Booker Winner Marlon James’: ‘I was the nerd, I wasn’t into sports, assumed gay’, The Guardian. Profile of the author, which notes that the novel was rejected 78 times before securing a publishing deal. Michiko Kakutani, ‘Jamaica via a Sea of Voices’, New York Times, in which the novel is described as being ‘like a Tarantino remake of “The Harder They Come” but with a soundtrack by Bob Marley and a script by Oliver Stone and William Faulkner, with maybe a little creative boost from some primo ganja’. 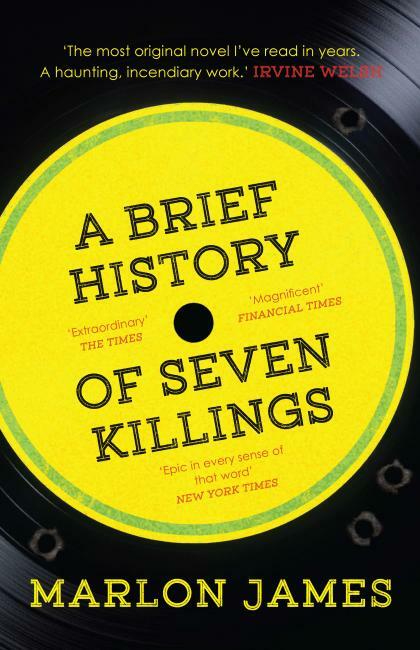 Tim Martin, ‘A Brief History of Seven Killings is violent, shocking – and a worthy winner of the 2015 Man Booker Prize’, The Telegraph. Again, comparisons are made to Ellroy: ‘Following Ellroy, it involves itself deeply in the intricate plotlines of the crime genre’. In sum, an extraordinary novel, and it’s wonderful to see it win such a major literary prize.